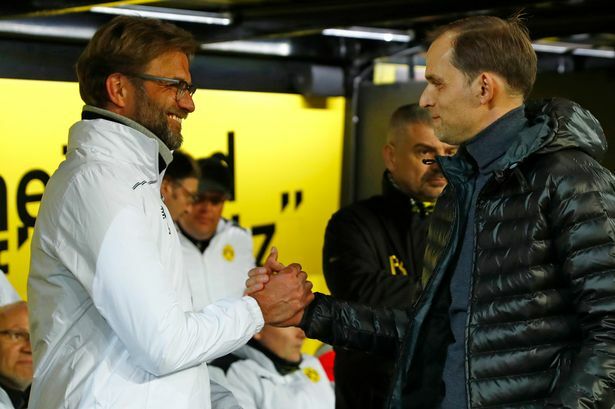 Home Borussia Dortmund Jurgen Klopp Vs Thomas Tuchel- Who is the better Manager? The glaring problem with this narrative was that it lacked context of any kind. All that can be said with certainty is that Tuchel’s first season at Dortmund has been considerably better than Klopp’s seventh. Beyond that there lies a series of unanswered questions that render meaningful conclusions all but impossible at this point in time. No one knows how Tuchel will fare at a club after seven years, because he’s never stayed anywhere that long. He managed five seasons at Mainz before admitting he had run out of ideas. “I couldn’t see how we could reinvent ourselves once more the coming summer,” he said of his decision to leave. Apply that same timeframe to Klopp’s career and he would be the man who brought Mainz into the Bundesliga and then to two respectable 11th-place finishes, before taking Dortmund from midtable mediocrity to two German championship victories, including a double, and a Champions League final. One of Klopp’s faults is that he stays at clubs too long, which seems to be a result of the genuine emotional bond he forms with them. If he was more self-serving, more preoccupied with his own record above all else – more Mourinho-esque, you might say – then he could have walked away from his previous clubs after five years with his reputation entirely intact. Which, of course, is exactly what Tuchel did at Mainz. It’s also true that Tuchel inherited a vastly superior Dortmund squad to the one Klopp took over in 2008. In the five seasons prior to Klopp’s appointment, Dortmund had finished 6th, 7th, 7th, 9th and 13th. In the five seasons before Tuchel’s arrival, they finished 1st, 1st, 2nd, 2nd and 7th. No one knows how Tuchel would cope with losing Dortmund’s better players season after season, often to their closest rivals, as Klopp had to every summer from 2011 onwards. To put this in a clearer context, in successive summers Klopp lost both Mario Götze and Robert Lewandowski to Bayern Munich. Apply this to the current Dortmund squad and it would be the rough equivalent of Tuchel seeing Mkhitaryan or Reus and then Aubameyang join Bayern over the next three transfer windows. Tuchel’s first summer at Dortmund was the only time they’d managed to keep their squad intact since Klopp’s maiden title win five years ago. The coming transfer window probably won’t be so kind. Gündogan, Hummels and Mkhitaryan will all have only one year left on their contracts in the summer. Hummels’ recent statement that “I don’t necessarily want [to leave], but I have to make a big decision” was hardly a picture of commitment. There are other important questions about Tuchel that have yet to be answered. No one knows how he will fare in the Champions League, as he’s yet to manage a team in the competition. This season his Dortmund side put in some poor performances in a weak Europa League group, including losses to PAOK and Krasnodar. They improved in the early knock-out stages, but those matches were against an injury-ravaged Porto side fielding a makeshift defence and a second-string Spurs team that seemed to wave the white flag before the game had even kicked off. When Dortmund simply needed to avoid conceding three goals against Liverpool, their much-vaunted possession game fell apart. They’ll come up against far better teams in the CL next season. Then comes the issue of how Tuchel will cope with greater depth in the domestic competition he faces. Bayern and Dortmund aside, this has hardly been a vintage year for the Bundesliga. Of the four clubs expected to challenge Dortmund for a CL spot at the start of the season – Borussia Mönchengladbach, Schalke, Bayer Leverkusen and Wolfsburg – only Gladbach have ever really managed to build up any kind of momentum, and that came after the worst league start in the club’s history. You could make a case for the current Bayern side being better than anything Klopp faced, of course, but we still don’t know how Tuchel will deal with sustained pressure from the teams currently below Dortmund. Finally, there’s the matter of how Tuchel will deal with increased pressure and expectations in the coming seasons. He was never expected to win trophies at Mainz. A mid-table finish was seen as a success. Such were the standards set by Klopp at Dortmund that failure to win the league or progress deep into the Champions League began to be deemed a disappointment. Conversely, Tuchel’s remit upon arriving at BVB was merely to qualify for the CL. That won’t be the case next season. Thomas Tuchel may well go on to surpass Klopp’s achievements at Dortmund. But claims that he had already surpassed Klopp’s abilities as a coach were premature, as Dortmund’s defeat to Liverpool demonstrated. The true narrative will be written over the coming seasons. Tuchel failed his first big test against Liverpool. There’s only one Jurgen Klopp.